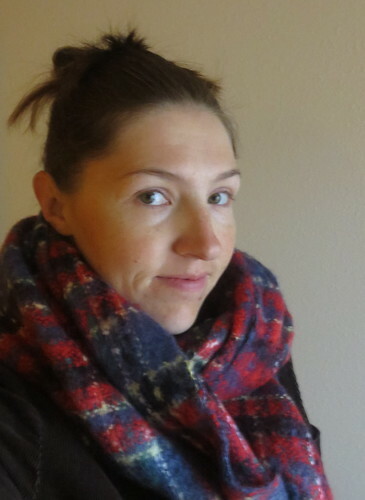 Anyway, I’ve got two pictures from the last bit of the year – one photo from October, and one from November. 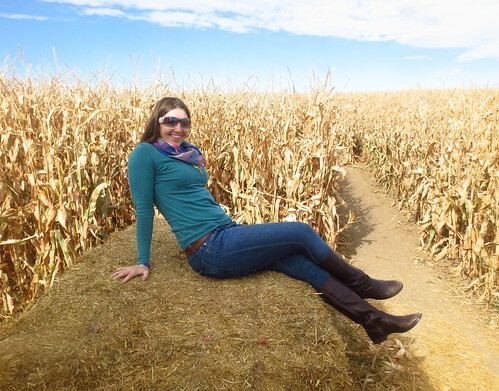 Went to Rock Creek Farm to go play in corn mazes. 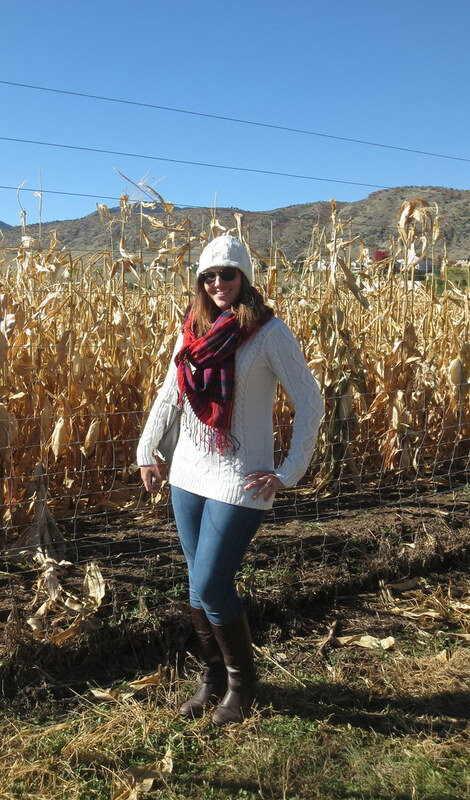 American Eagle sweater, Seven for All Mankind Jeans, scarf from H&M, boots Lauren Ralph Lauren. 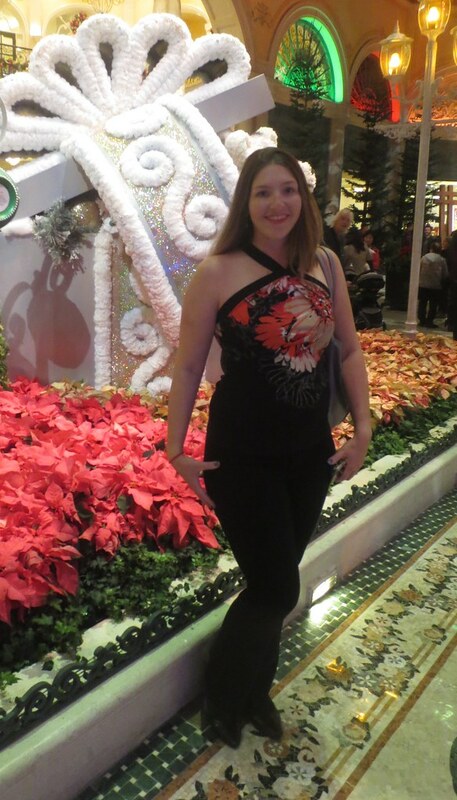 Clubbing outfit from Vegas. 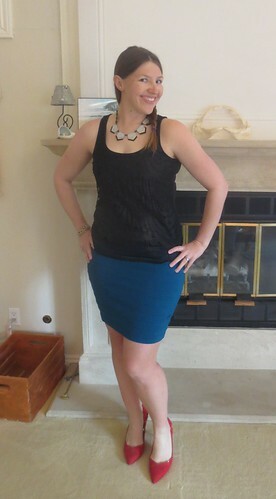 Target shirt, Express skirt, shoes from JustFab.com. 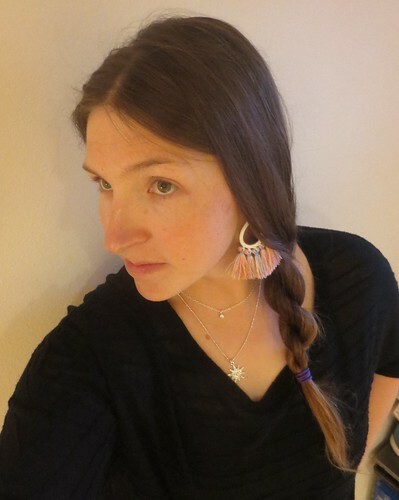 With peak Ironman training hitting through the fall, I barely had time to eat and sleep, much less go out and dress up. Then, after the race, I was too happy hanging out and being lazy. As a result, not much to post here. 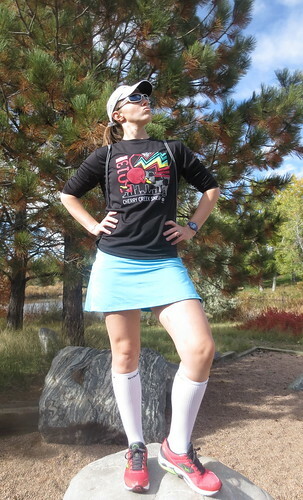 Sometimes, style is always about confidence, and while this outfit is entirely workout clothes (race t-shirt, Skirt Sports skirt, Saucony compression socks, new Mizuno Wave Riders), I felt (and still do by looking at it) awesome in this outfit. Halloween (I’m on the left). 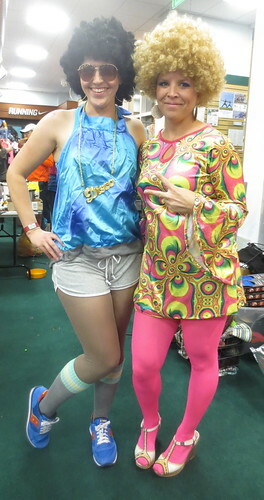 Halloween costumes can hold a bit of style inherently. 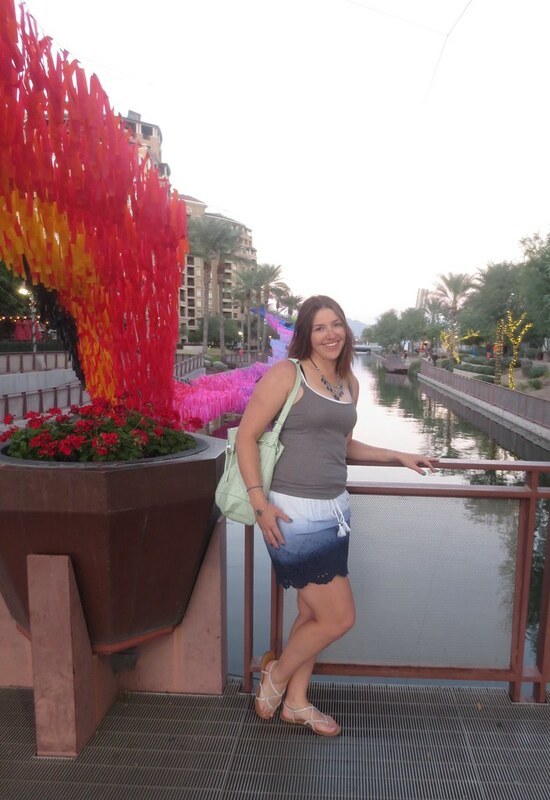 Shirt is homemade (thanks, Mom) and shorts are American Eagle from a few years back. 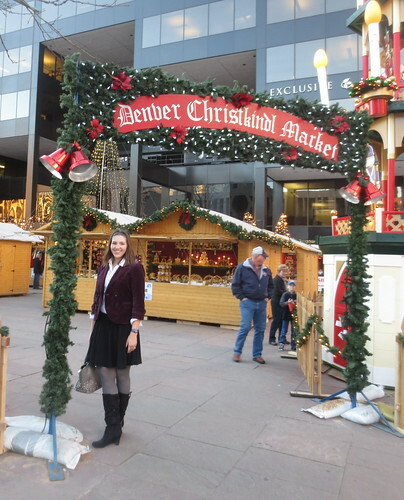 In the holiday post, I forgot to mention that Brandon and I checked out the Denver Christkindl Market. Based on similar markets in Germany/Europe, the market takes up a bit of the 16th Street Mall every December. It sells authentic Bavarian food and crafts. I’ve been meaning to check it out for years so this year, we finally did. 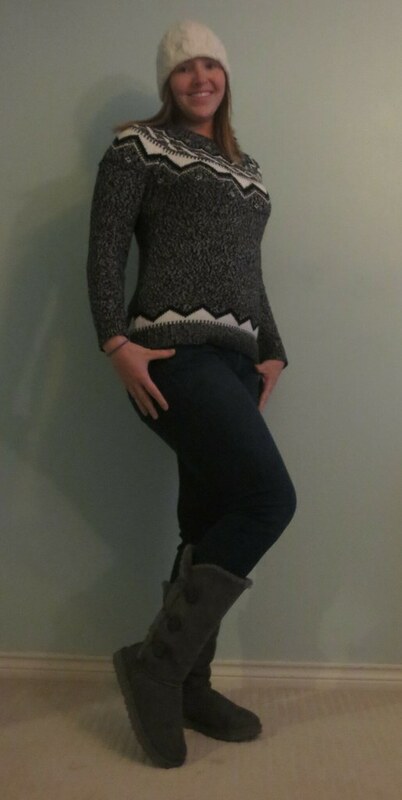 Shirt and skirt from Express, blazer from American Eagle, boots I don’t even remember anymore.